Jackie Elton, founder of Christian Connection, recently had the privilege of attending a church service addressed by Dr Jane Hawking (now Hellyer Jones) – the former wife of world renowned scientist, atheist and motor neurone patient – Professor Stephen Hawking. Afterwards Dr Hawking was kind enough to answer questions about marriage, faith and science. 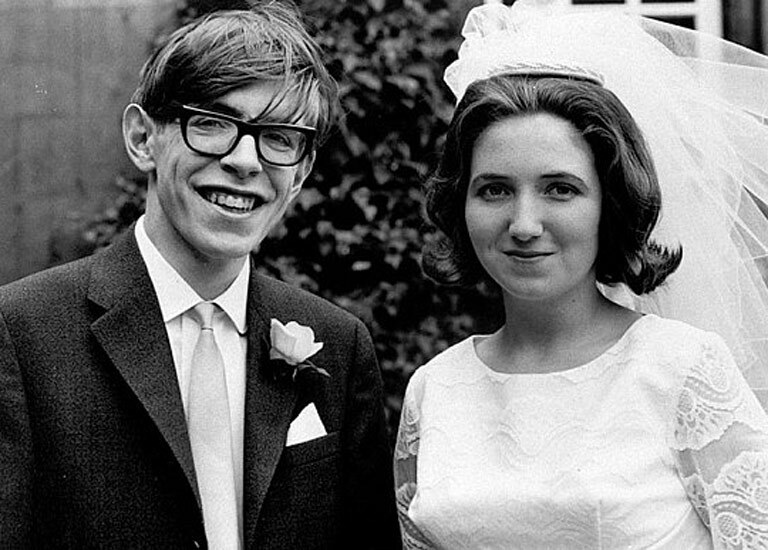 Jane married Stephen Hawking when they were both very young and he had only recently been given his diagnosis. She was and is, a committed Christian. He did not believe in God. At the time, it was thought that he only had a couple of years to live, and people were living in the grip of fear that the world would be destroyed by nuclear weapons. There are so many couples who go through marriage in the face of difference in beliefs – and there is deep insight and experience in her words. In fact they went on to have three children and were married for 25 years. As those who have seen the film, The Theory of Everything will know, the marriage did eventually end and Stephen went on to marry his nurse and Jane married her friend, the choirmaster and fellow believer Jonathan Hellyer Jones. What practical advice would you give to somebody contemplating marriage to somebody who does not share your faith? What were the typical challenges and how did you deal with them? It depends whether the couple argue about faith in advance, or if one of them is particularly evangelical, or the other dismissive about faith, because I don’t think that that would be a very good start. If they are both fairly relaxed on the subject then they have a better chance of living happily together. Did you and Stephen argue about faith matters – or avoid the subject – and what might you suggest? No, at first we lived in harmony each respecting the other’s point of view – and because he had been giving such a damning diagnosis I could well understand why he would not be inclined to believe in a loving God, let alone given how complex his researches into the origins of the universe were. He has to be able to see the proof of everything in mathematical terms. Were there many issues with how to bring up the children within the faith or bring it into the life of the family – given the difference in belief? No, I let the children find out for themselves with a little guidance. My eldest son is a churchgoer with his family, the other two recognise that there are deep unanswered questions and will ponder them. Although sometimes it is very difficult for them to believe in a loving God. How did the challenges of Stephen’s illness and disability affect your faith and why? Was faith a blessing? Faith was my rock and a blessing because I believed that there was help and support for me in all the challenges I faced and that things would resolve themselves eventually. Were there any points, when all the weight of science put pressure on your beliefs and how did you respond? Yes, very much so. This was especially evident when we went on a trip to Israel for Stephen to receive a prize at the Knesset. He seemed to delight in telling the press that he was an atheist and this I found very hurtful and disrespectful. In Jerusalem, of all places, the most holy city in the world. So I visited the old city several times and found great inspiration there – but on my own. How did things change, faithwise, with your marriage to Jonathan, who is also a Christian? We think the same way, we believe in the same religious principles and we both find much of our religious inspiration in music. Those of us who heard Jane Hawking speak and saw the film were impressed by the way faith can hold and thrive under such pressure. Her story is extraordinary but not entirely unique, many marriages do endure and faith endures. It requires patience and tolerance and understanding.